Sulmaan Wasif Khan is an Assistant Professor of International History and Chinese Foreign Relations at the Fletcher School of Law and Diplomacy at Tufts University. Harvard University Press: Before the Chinese Communist Party came to power, China lay broken and fragmented. Today, it is a force on the global stage, and yet its leaders have continued to be haunted by the past. 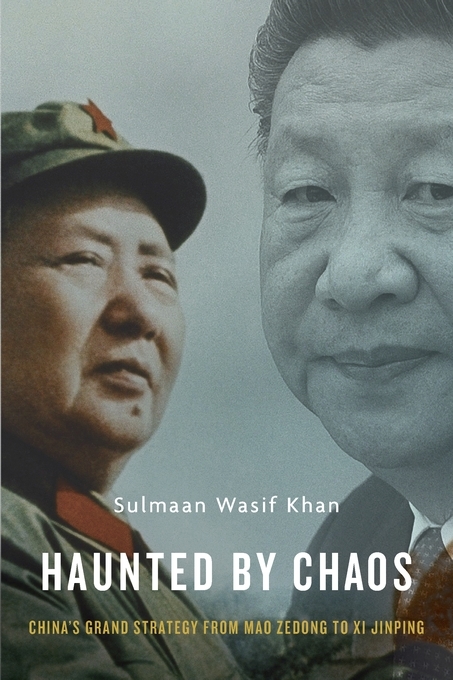 Drawing on an array of sources, Sulmaan Wasif Khan chronicles the grand strategies that have sought not only to protect China from aggression but also to ensure it would never again experience the powerlessness of the late Qing and Republican eras. The dramatic variations in China’s modern history have obscured the commonality of purpose that binds the country’s leaders. Analyzing the calculus behind their decision making, Khan explores how they wove diplomatic, military, and economic power together to keep a fragile country safe in a world they saw as hostile. Dangerous and shrewd, Mao Zedong made China whole and succeeded in keeping it so, while the caustic, impatient Deng Xiaoping dragged China into the modern world. Jiang Zemin and Hu Jintao served as cautious custodians of the Deng legacy, but the powerful and deeply insecure Xi Jinping has shown an assertiveness that has raised both fear and hope across the globe. For all their considerable costs, China’s grand strategies have been largely successful. But the country faces great challenges today. Its population is aging, its government is undermined by corruption, its neighbors are arming out of concern over its growing power, and environmental degradation threatens catastrophe. A question Haunted by Chaos raises is whether China’s time-tested approach can respond to the looming threats of the 21st century.